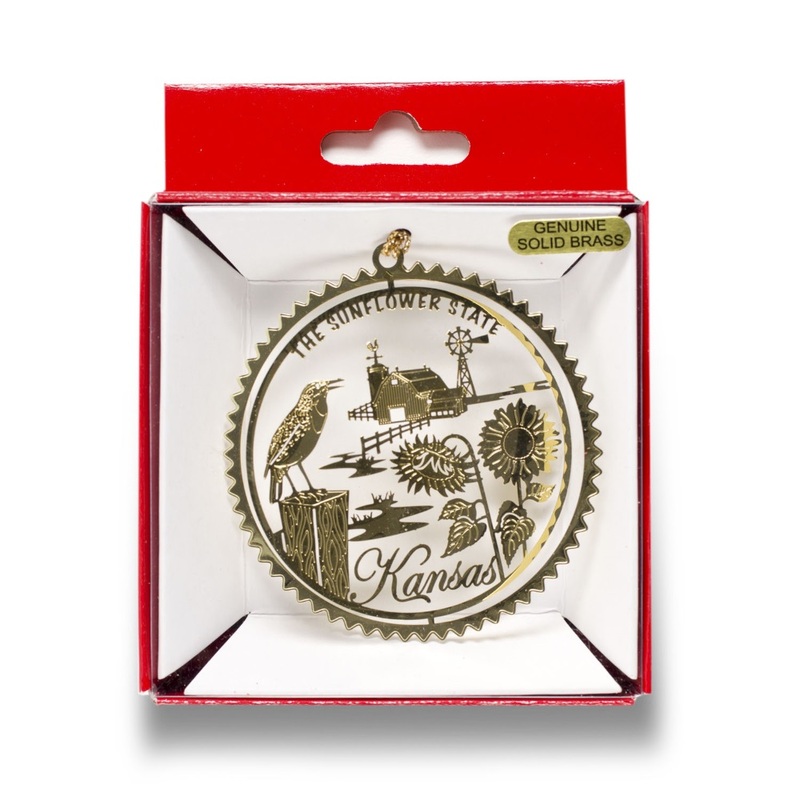 This beautiful collectible brass ornament highlights popular state symbols of Kansas. The Western Meadowlark was adopted in 1937 as the state bird because of its abundance in the area. The brown, yellow, and black bird makes its nest on the ground in a clump of grass. The wild sunflower, the vibrant Helianthus, was adopted in 1903 as the state flower. Today the plant has become an important crop and a popular symbol of the state. The iconic windmill and barn symbolize the importance agriculture plays in the state’s history.